Many individuals rely on wheelchairs and motorized scooters to move about. Stairways and steep inclines present specific challenges to these people. Instead of enabling access, stairs form an impasse for those relying upon wheelchairs and scooters to get around. Wheel chair lifts overcome the obstacle of a staircase and improve access in these situations. Wheel chair lifts improve the accessibility of both commercial and residential buildings. Safety features include obstruction sensors, auto folding ramps for entry and exit, and a non-skid surface. Passengers can position themselves comfortably for smooth and reliable transport from one level to another. When not in use, platform lifts fold conveniently and stick out only a foot from the wall. Sturdy construction and a rack and worm gear drive system provide a stable ride for distances up to forty feet. 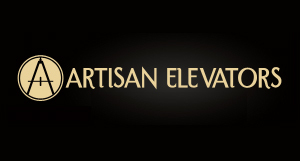 Most stairways on the exterior of buildings can be fit with a platform lift. Many buildings have staircase entryways and limited space for access ramps. Steep terrain can also lead to very elaborate ramp requirements. A simple solution to this predicament is a platform lift to provide access to wheel chairs and scooters. These advantageous wheel chair lifts may be less architecturally invasive than other options and conform to existing landscapes. Wheel chair lifts expand upon the independence and mobility provided by scooters and wheelchairs. Homes with obstacles such as sunken living rooms and stairs can be frustrating, but platform lifts face these obstacles head on. Any building with multiple floors adjoined by staircases can be very limiting without a platform lift. In church, school, offices, or other area with public access, wheel chair lifts efficiently overcome interior stairways. Indy Stair Lifts offers top of the line wheel chair lifts backed by the industry’s best warranty. 24/7 on call support further ensures utmost reliability and performance. 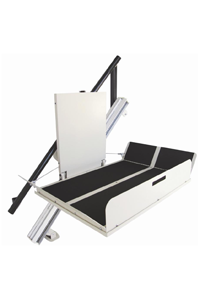 Indy Stair Lifts brings quality and affordability together with many options for anyone in the market for a lift. Indy Stair Lifts makes every effort to assist those in need acquire a suitable wheel chair lift to promote independence and mobility.